15% off labor up to $150.00. 1 coupon per visit. Not valid with other offers. Please present your current military identification when you bring your vehicle in to Schneider’s Automotive. 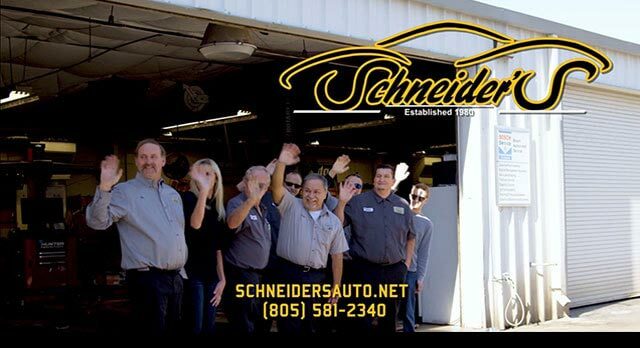 "Schneider's is the only shop I let touch my vehicles. Mitch and Frank are always super helpful and do a great job of explaining what services need to be done and why. I've never been disappointed with the service I receive." "We have always had excellent service from Schneiders, as a matter of fact, they have even gone above and beyond when dealing with OTHER dealers and services. We will always recommend them to anyone who asks!" "I'm confident knowing that I get the best solutions and advice when I recommend people to Schneider's. I have personally taken a car there and they are amazing at explaining what the car needs." "Just wanted to thank Schneider's Automotive for the excellent and timely repair on my car today. It would have been a major problem for me and my wife if I did not have them to trust as we have for years now!" "Exemplary work. The dedication to customer satisfaction and excellent service is exemplary. The attention to detail and level of expertise ensures that their client's cars are in perfect condition. The Schneider team is the best!!!" "Felt confident. That I would highly recomend Schneider's that they are honest, trustworthy, quick and very thourough they explain everything in a way you can understand I will return again and again." "Nobody else touches our Honda. They are an honest, trustworthy and reliable repair shop, They Don't try to sell you repairs that aren't needed, and don't talk down to you because you are a woman.."
"Amazing. Schneider's Automotive could teach a course on customer service! The quality of work and level of expertise is the best I've ever found. They are honest and very fair." "Outstanding. They remembered me from 1-2 weeks previous and delivered on a verbal promise. They were prompt and courteous a provided the service I expected." "Highly recommended Mitch Schneider! He truly cares about his clients and there safety. He will take care of your vehicle and make sure everything is working correctly." 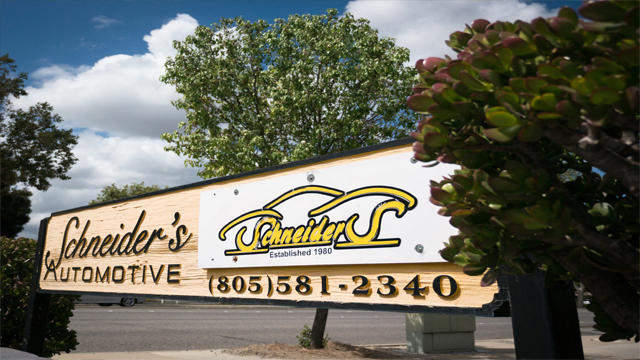 When you are looking for a reliable and trustworthy Simi Valley auto repair shop, consider Schneider's Automotive Repair. We are located at 607 E. Los Angeles Ave., in Simi Valley, directly across the street from Stater Brother's grocery store. 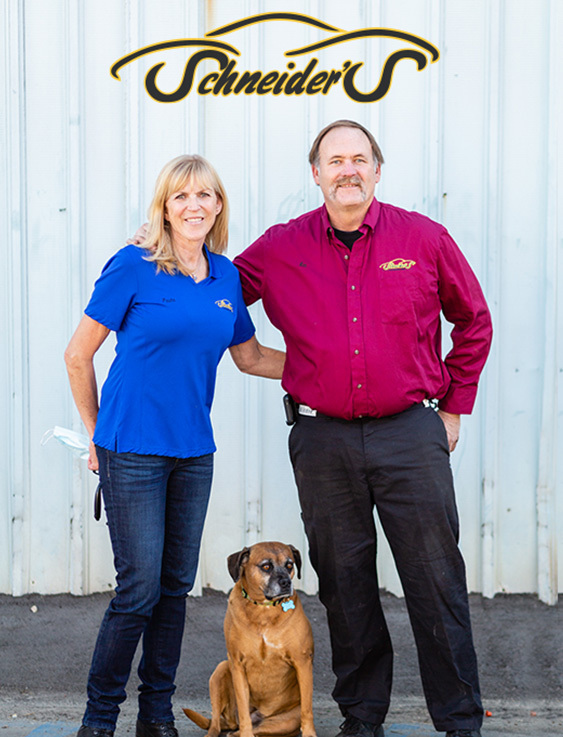 Established in 1980, we have been providing our friends and neighbors in the Simi Valley, Moorpark, and surrounding areas with dependable, honest, and expert auto repair and maintenance services. We have a team of highly skilled ASE-Certified Technicians who specialize in both foreign and domestic cars and trucks, including diesel and hybrid vehicles. We offer a courtesy 30-point inspection to create a service and maintenance plan that will keep our customers's vehicles in good running order while also being mindful of budgets. So, whether you need a simple and quick job, such as an oil change and service, or a major repair, our knowledgeable and certified technicians will inspect your vehicle, diagnose the problem, and make any necessary repairs, saving you valuable time and money. Give us a call or stop by our convenient location in Simi Valley, located on E. Los Angeles Ave., today to see what sets us apart from other automotive shops! We Specialize in Domestic, Foreign, Classicand Vintage cars!